The lowly microphone stand seems like a simple item but it is important to the artist that is using it. 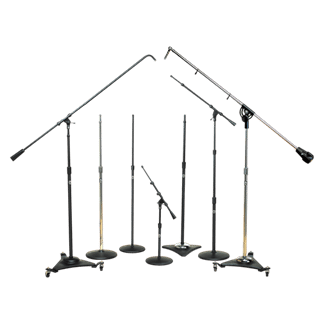 We stock the most popular brands of mic stands. AV Vegas Productions specializes in all types of pro audio sound gear rentals.